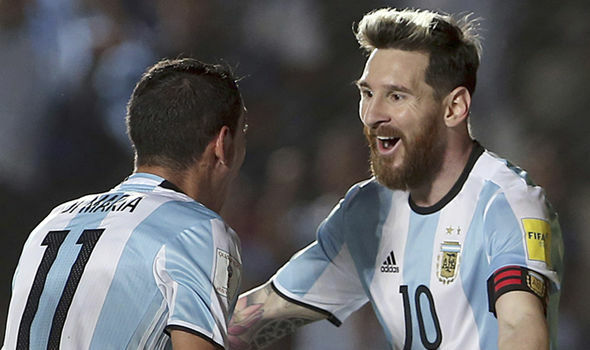 Barcelona pair Javier Mascherano and Lionel Messi have given the backing to pursue fellow Argentine compatriot Angel di Maria from Paris Saint-Germain this summer. The 29-year-old's future at Parc des Princes has been thrown into doubt following the world-record signing of Neymar. According to Sport, the Catalan giants could turn their attention to the former Real Madrid man after failing to negotiate deals for both Philippe Coutinho and Ousmane Dembele. The Argentine has had a good bond alongside Mascherano and Messi at the international level and the duo have given the thumbs-up for his possible arrival regardless of his former links with Los Blancos. Messi, Luis Suarez and Neymar had formed a tremendous partnership up front for the Catalan giants over the past three seasons, but the latter wanted to pursue a fresh challenge where he would be recognised as the main orchestrator in the attack. The Brazil international has since made a brilliant start to his Ligue 1 career with three goals and two assists in just two games for Paris Saint-Germain. Meanwhile, Barcelona's hunt for a new attacker has bore no fruit over the past fortnight with failed bids for both Coutinho and Dembele, and this appears to have switched their attention towards Di Maria. The Argentine has had a hot and cold relationship during his time at Parc des Princes with the club's hierarchy having tried to sell him to China in January only for him to knock back their offer. Apart from Di Maria, the Catalan giants are also in the pursuit of Nice's Jean Seri, who has been identified as a potential companion for Sergi Busquets in central midfield. The Ivory Coast international came through a top season for Nice last term with seven goals and nine assists, and his style of play has since him dubbed as the African Xavi.